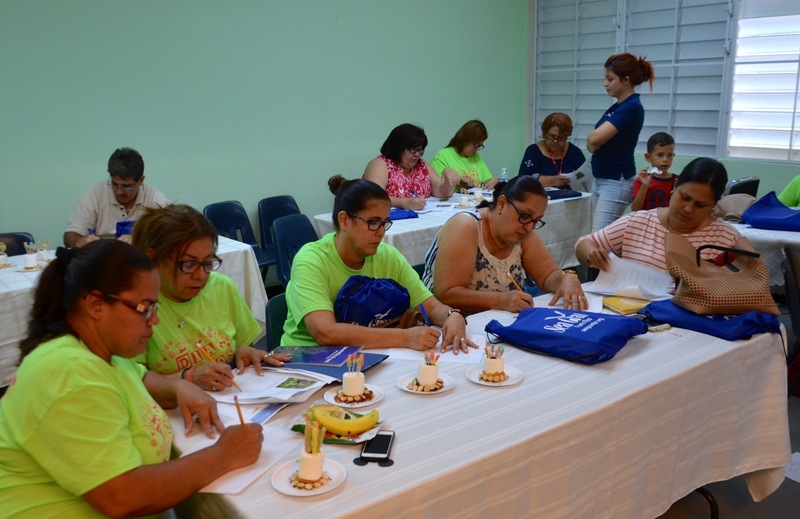 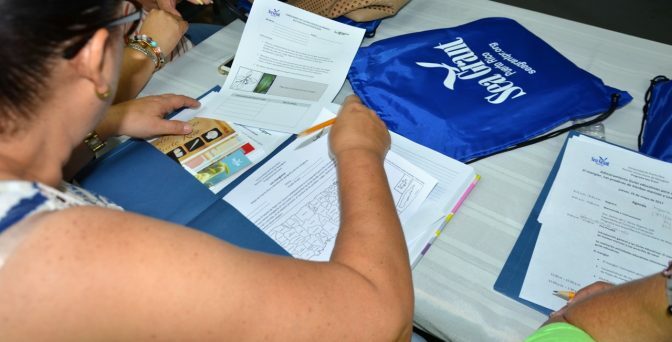 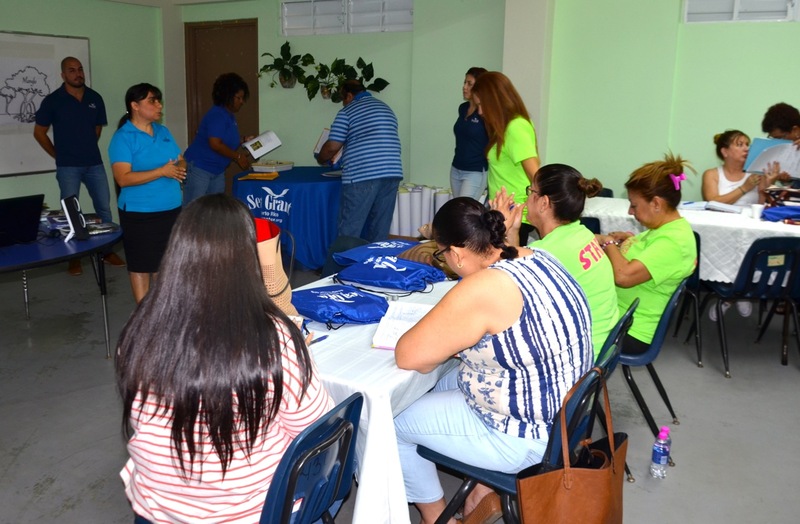 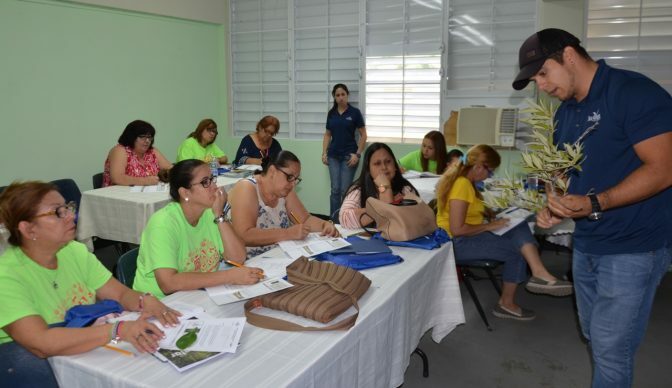 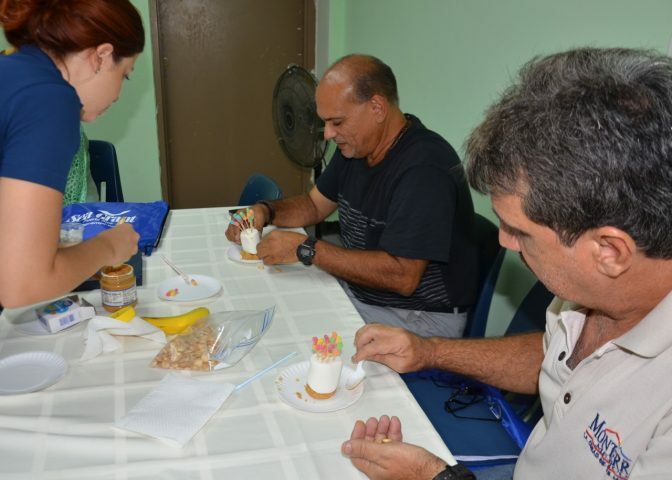 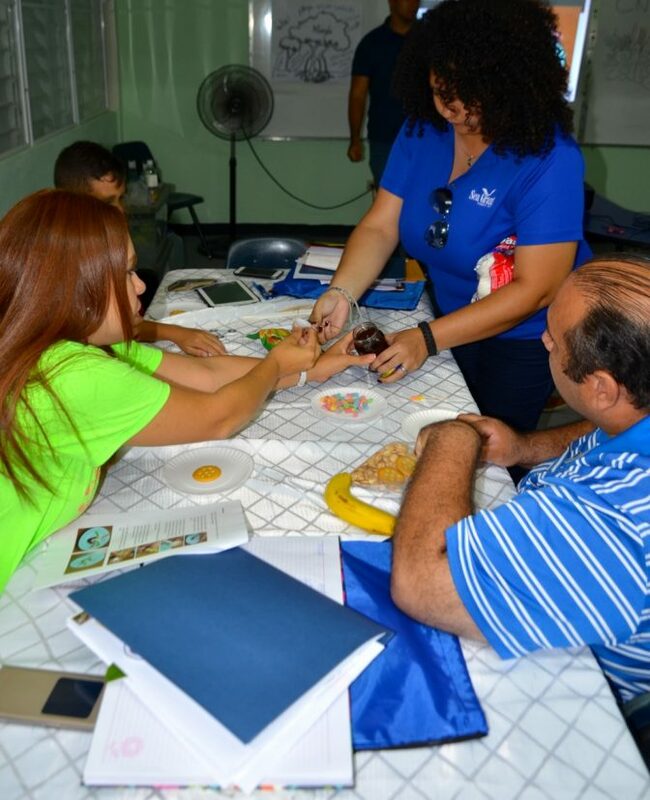 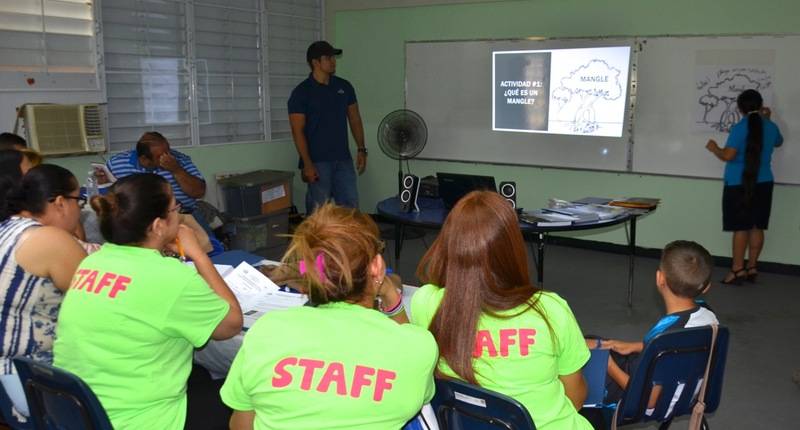 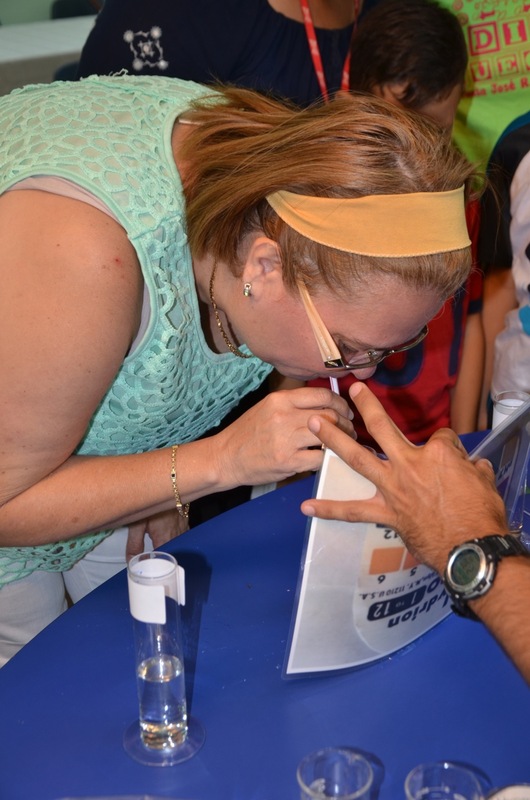 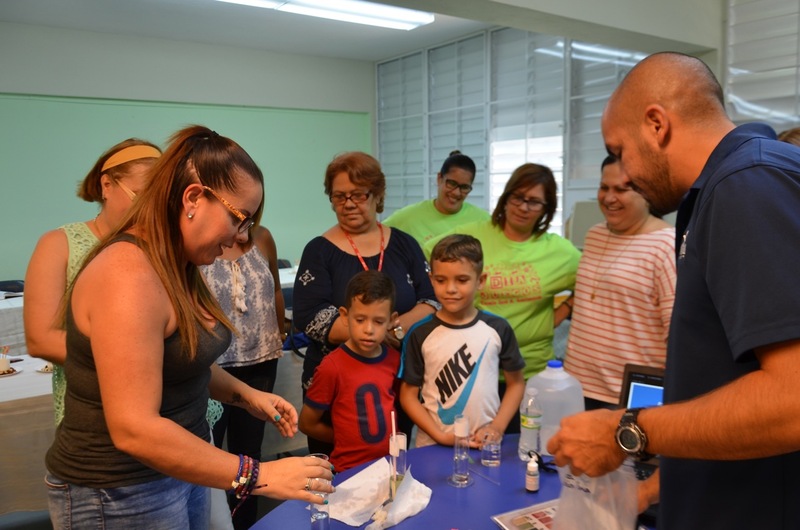 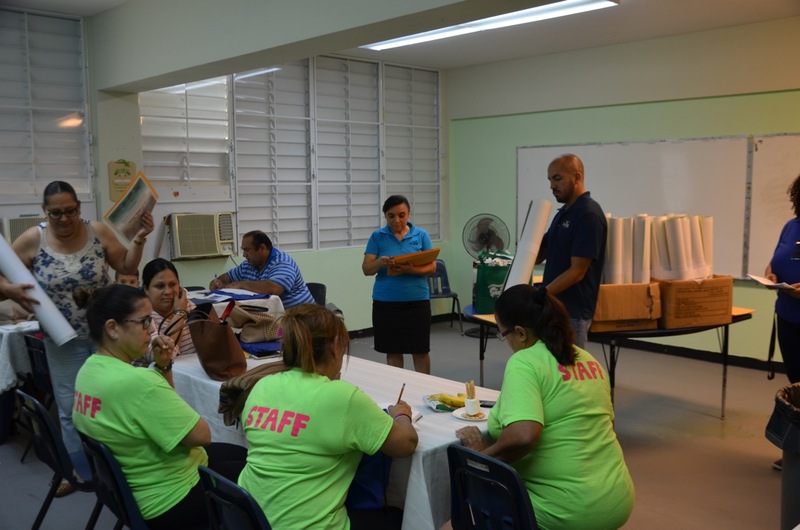 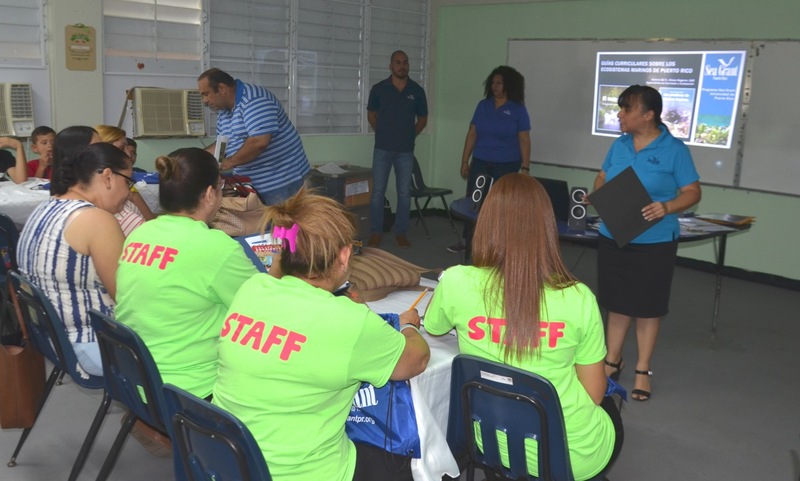 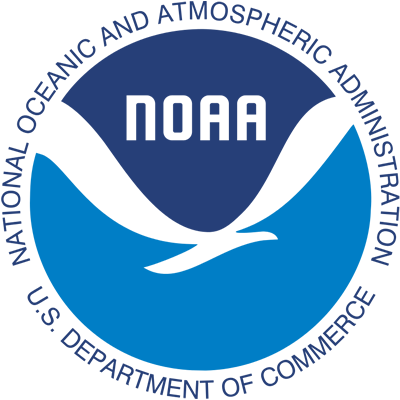 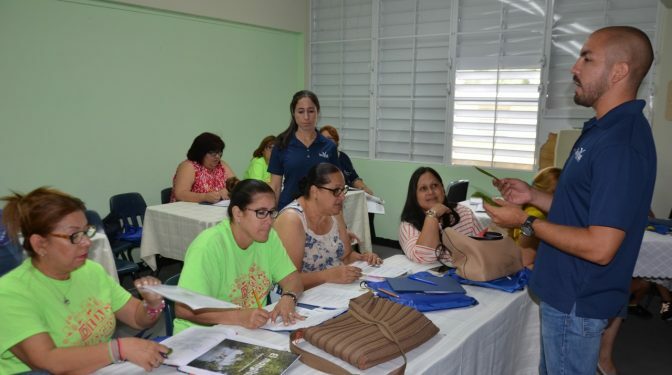 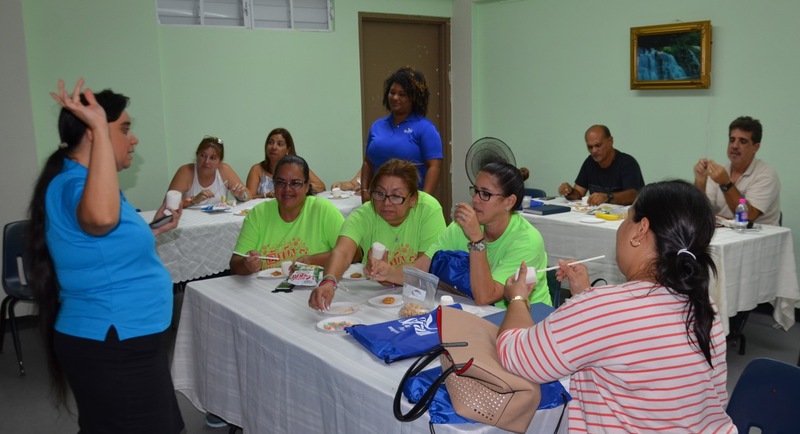 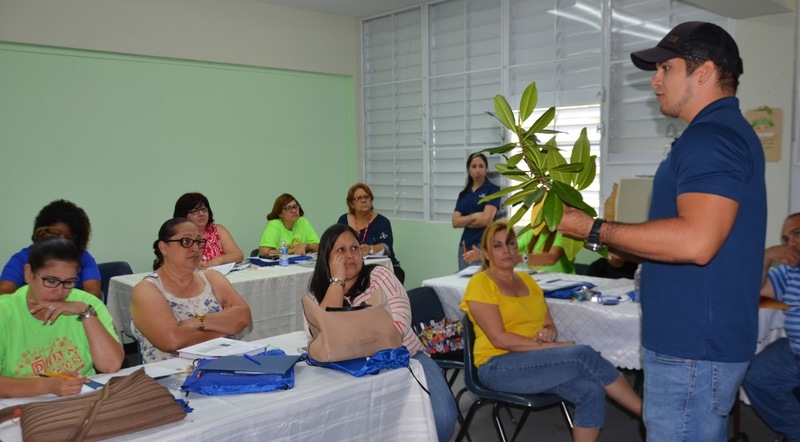 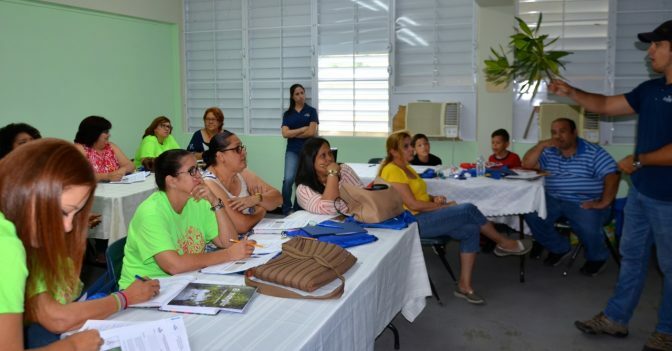 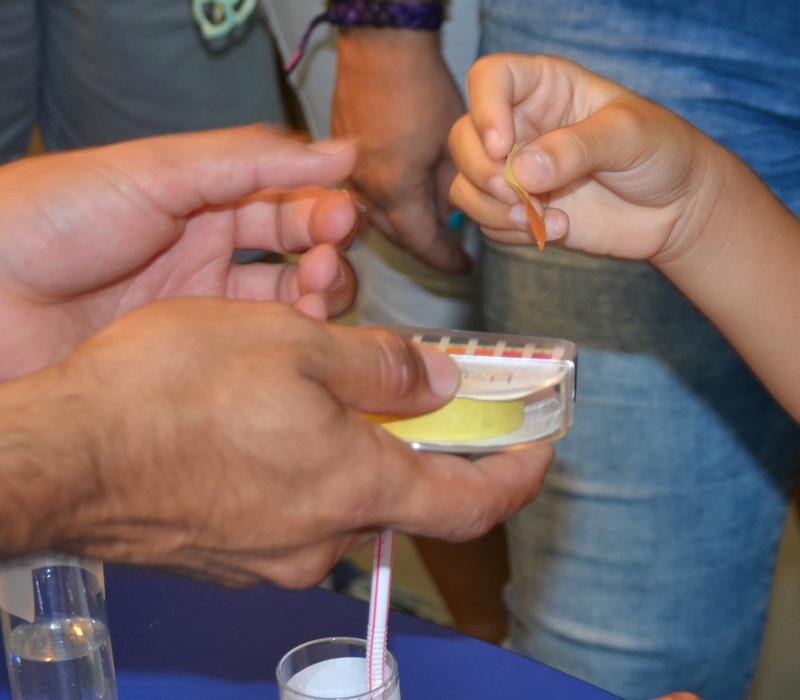 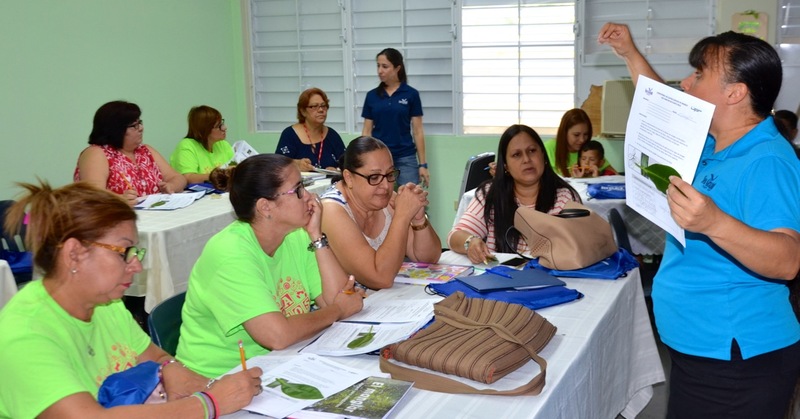 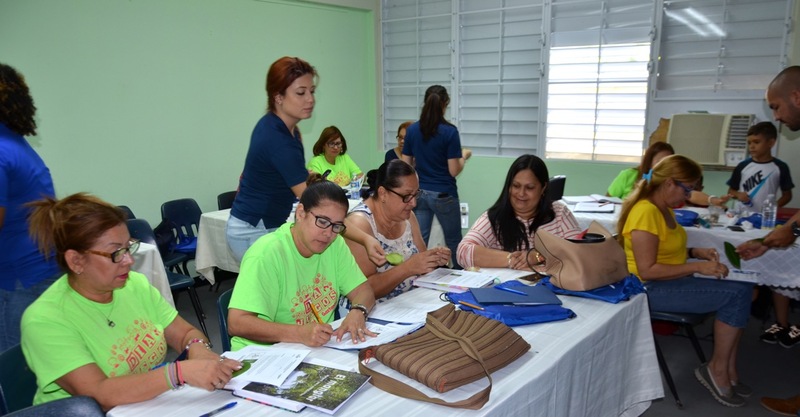 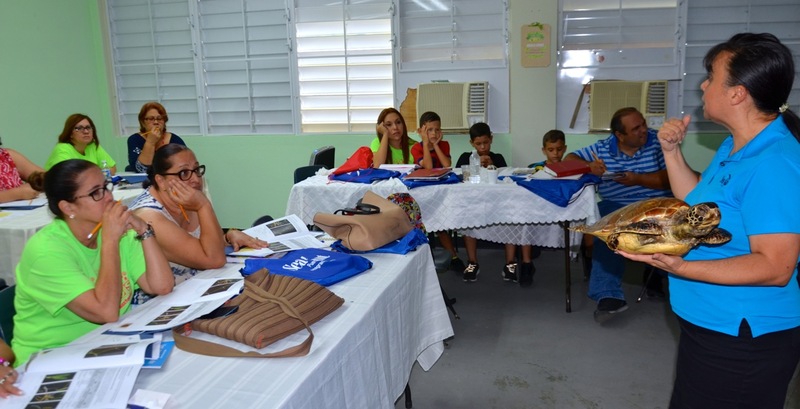 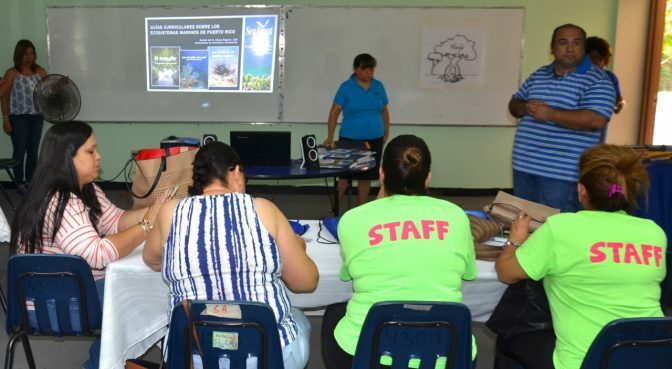 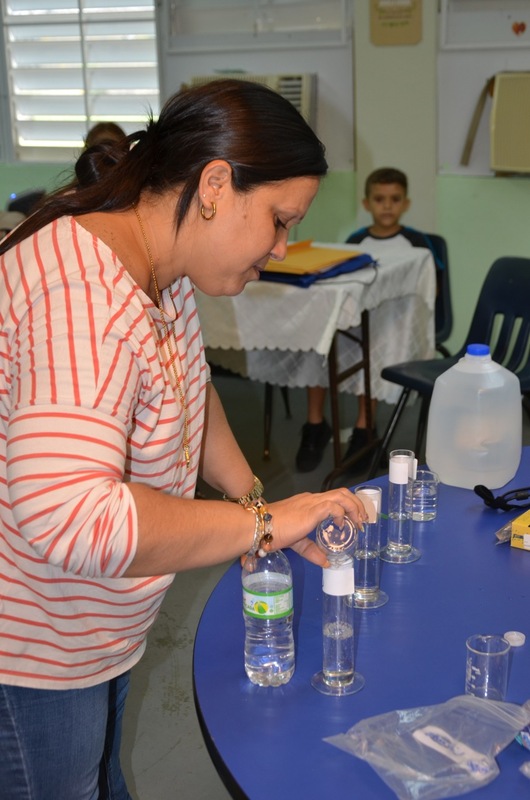 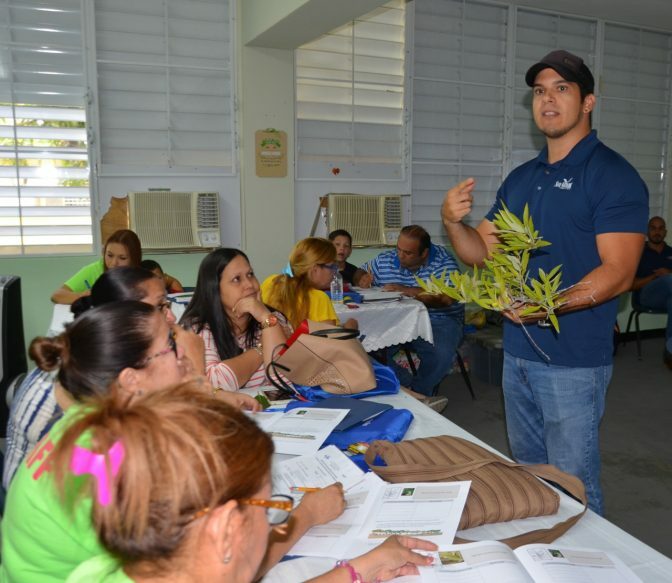 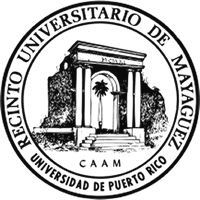 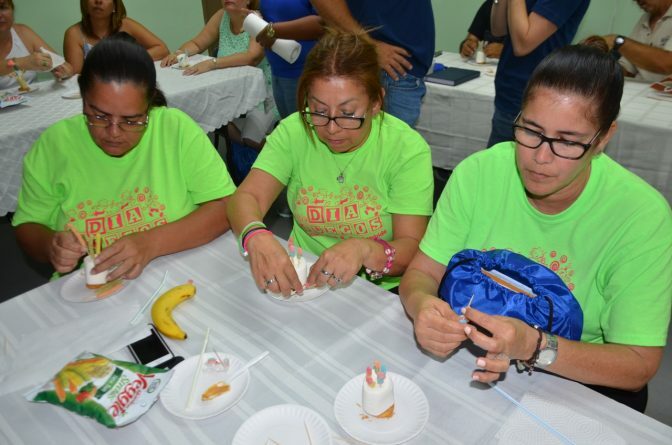 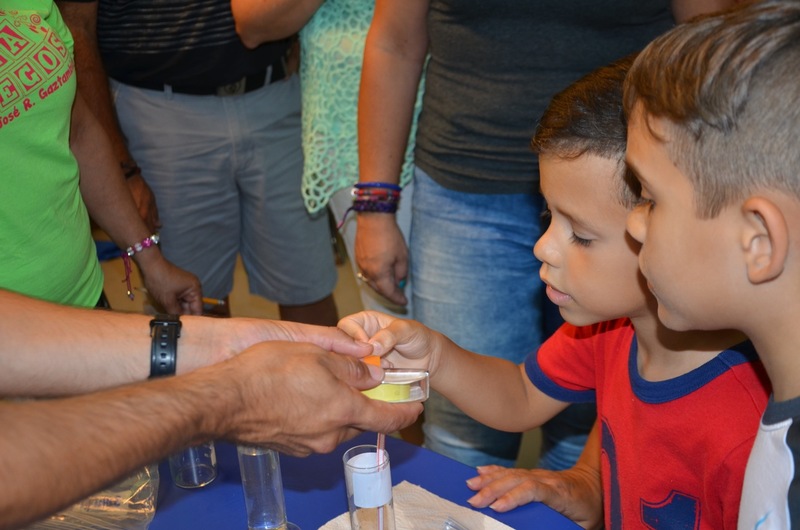 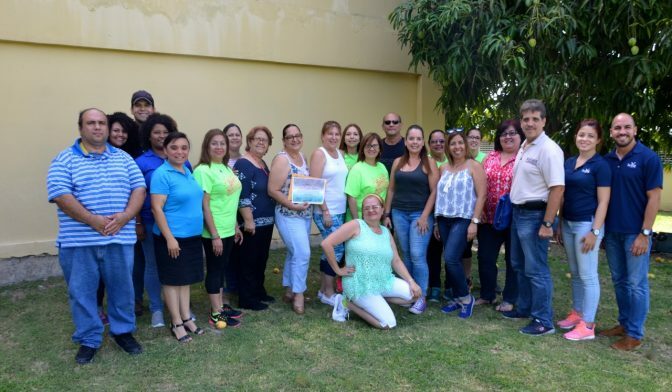 The University of Puerto Rico Sea Grant Program offered a training session to capacitate teachers on the proper use of the Puerto Rican marine ecosystems educational guides. 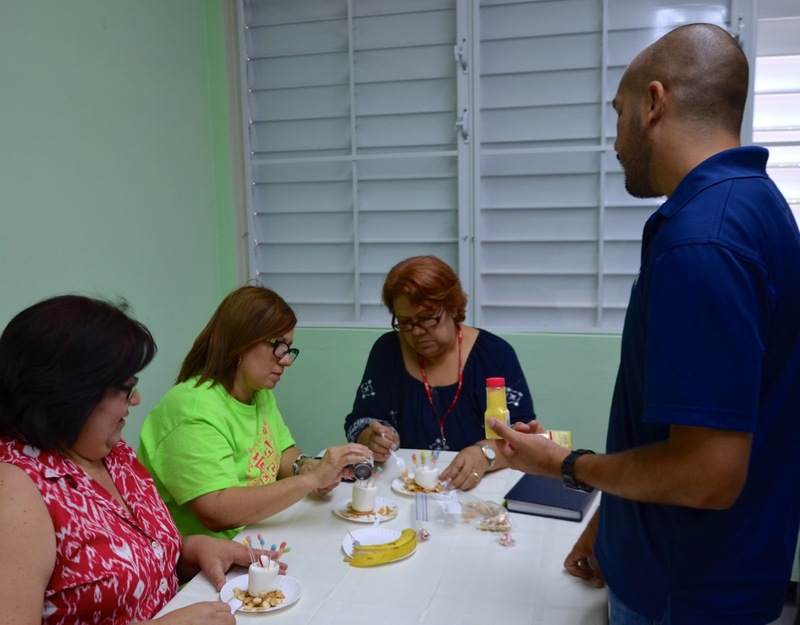 It took place on Thursday, May 25th, 2017, in the José R. Gaztambide Elementary School in Sabana Grande. 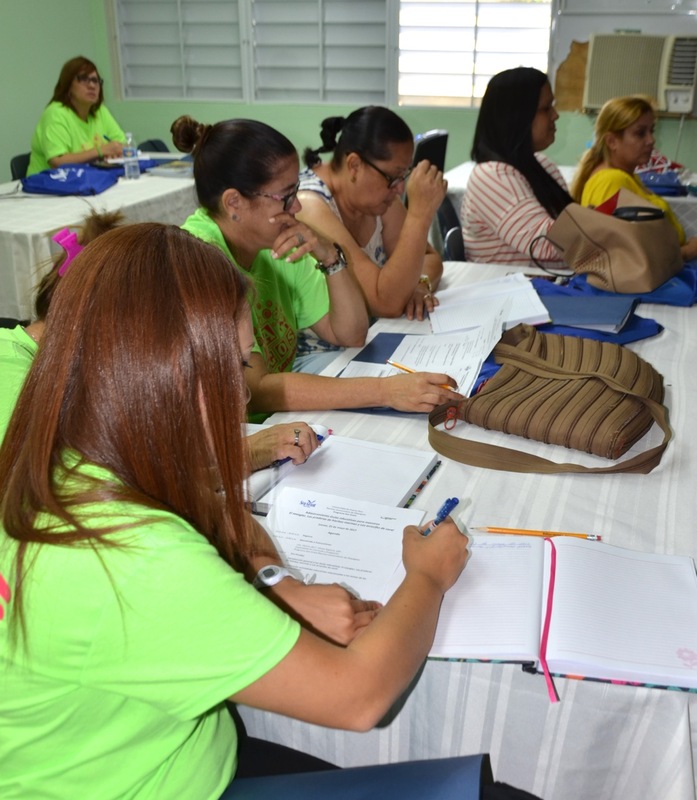 The workshop, which lasted for 6 contact hours, was attended by 17 elementary level teachers. 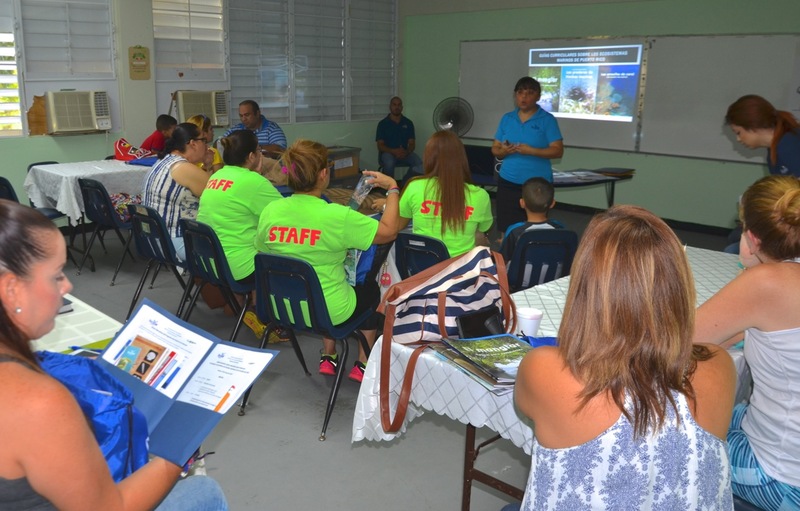 During the activity, the docents were presented with the educational guides. 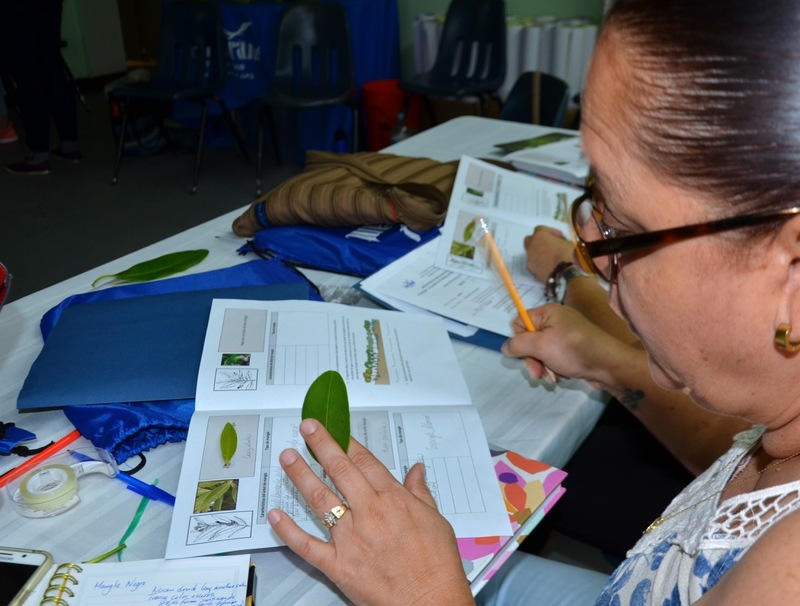 Then, they were taught about the mangrove forests topic. 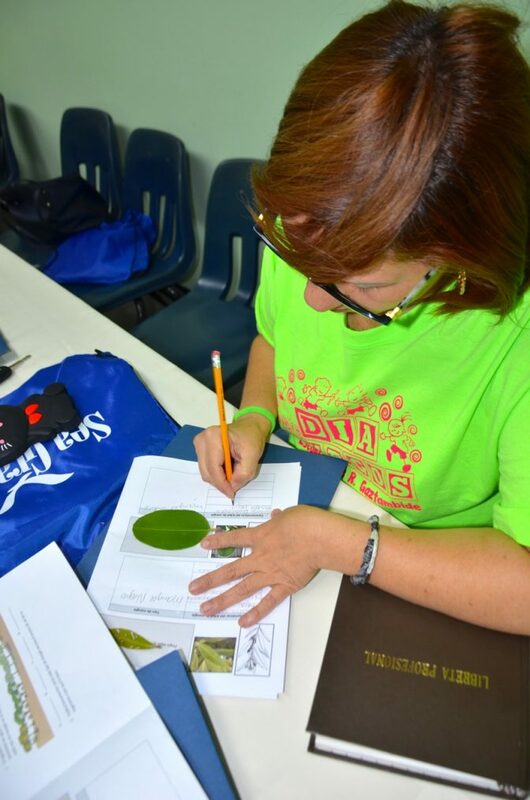 There, they observed the main characteristics of the 4 mangrove tree types we have in Puerto Rico, made a sample sheet collecting leaves and they found out where these forests can be found in our archipelago through the Pepe Uca’s Treasure storybook. After that, we taught them about the seagrass beds. 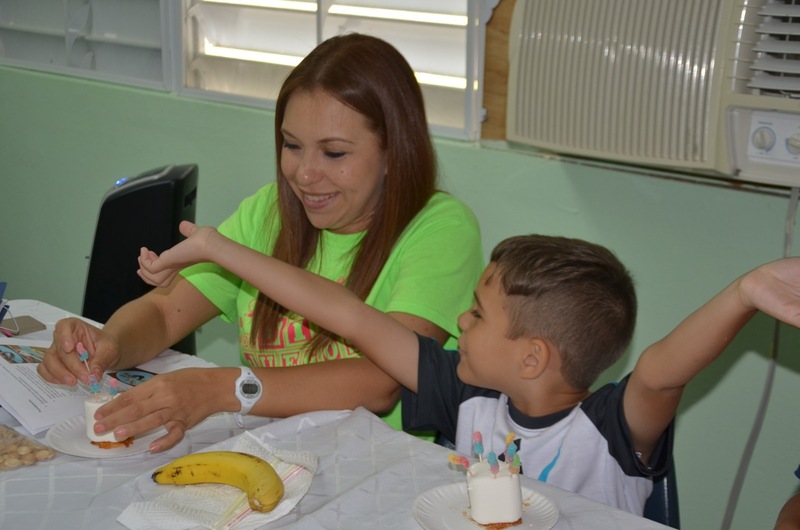 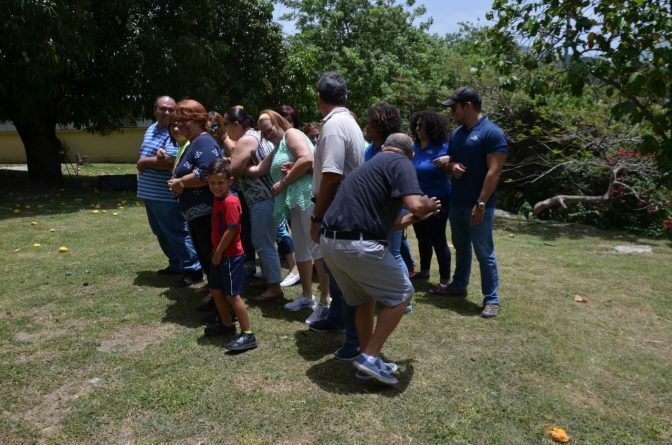 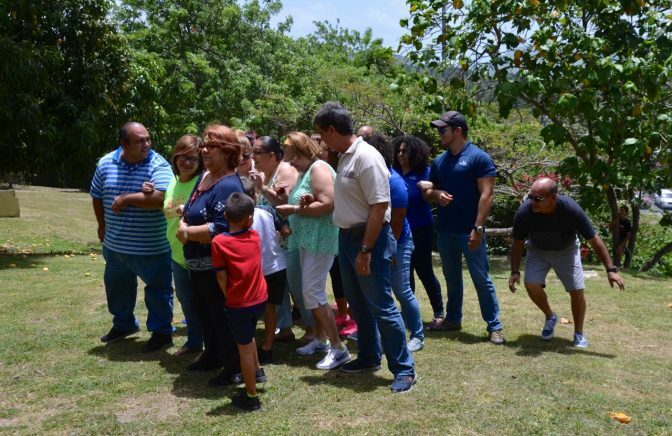 In this part of the workshop, they learned about the different species of seagrass found in Puerto Rico, the differences between seagrass and algae, and saw the importance of this ecosystem by playing a game called Go Hide! 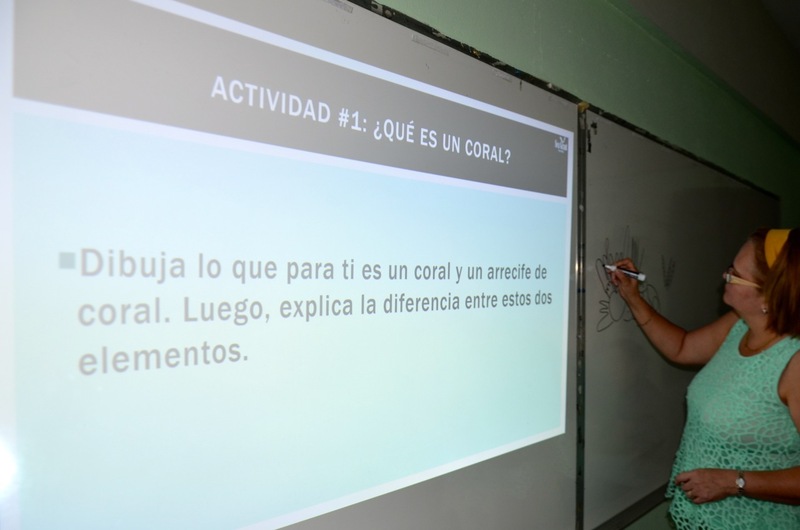 When these first two ecosystems were discussed, the Program educators moved on to the coral reefs. 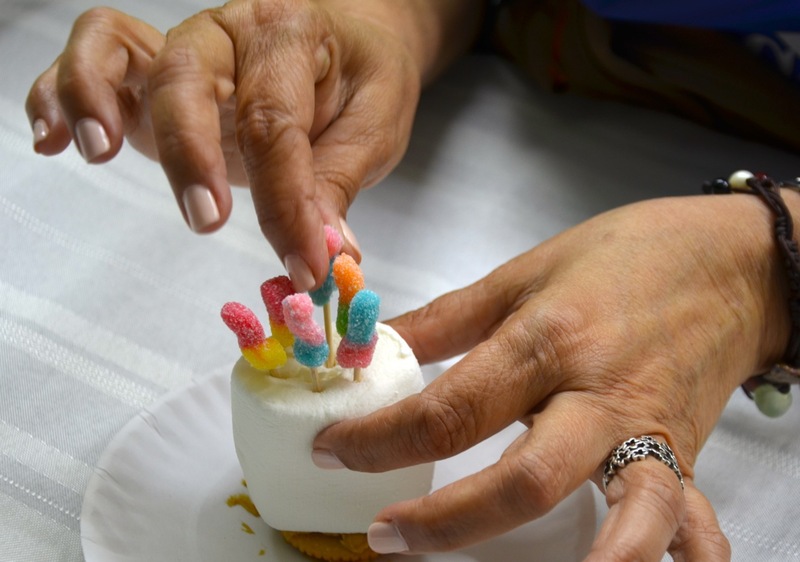 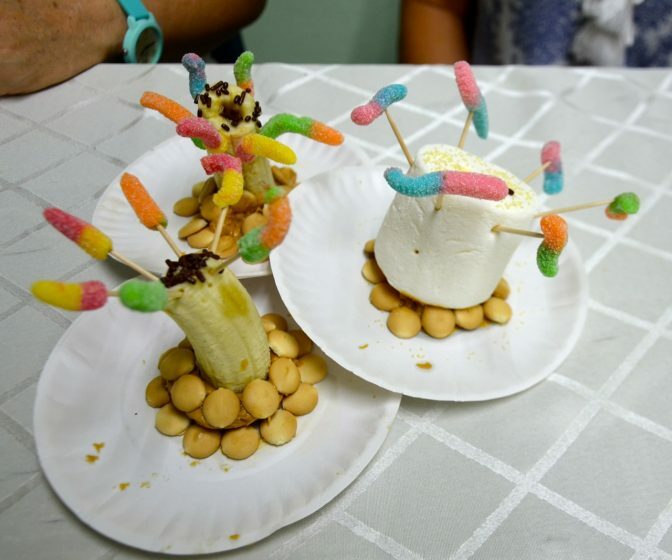 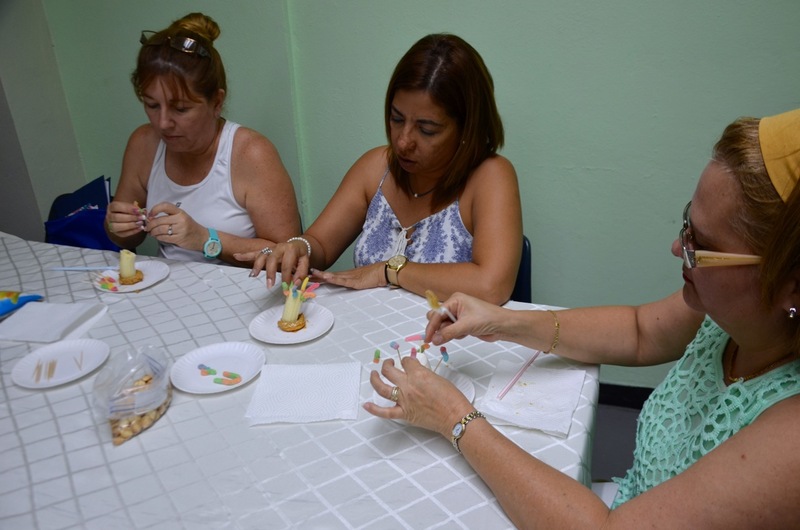 So that the teachers could learn about what a coral polyp is and what parts comprise it, they made an edible coral polyp. 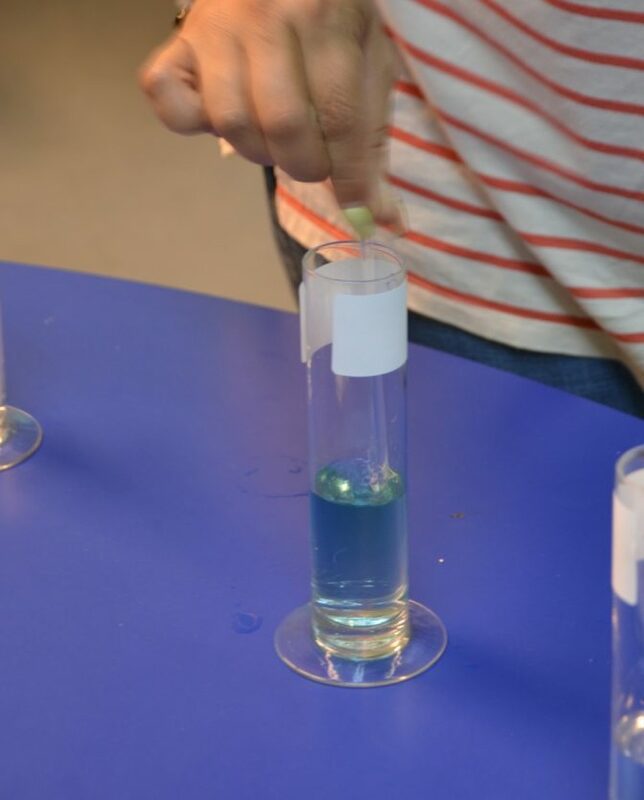 They also had the chance to perform a laboratory simulation about ocean acidification and saw firsthand the damages suffered by corals when oceans become acidified. 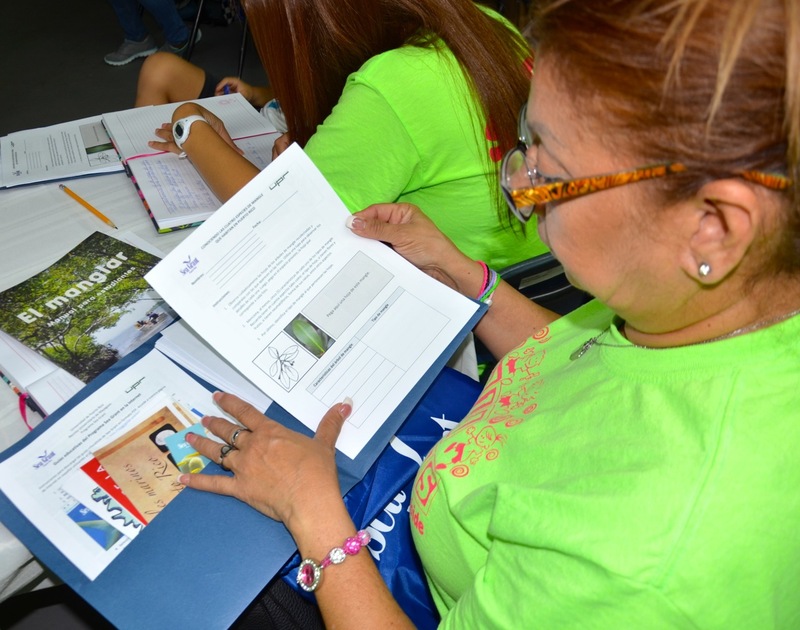 All the activities performed during the training session are contained in the educational guides, and teachers can readily replicate them with students in their classrooms. 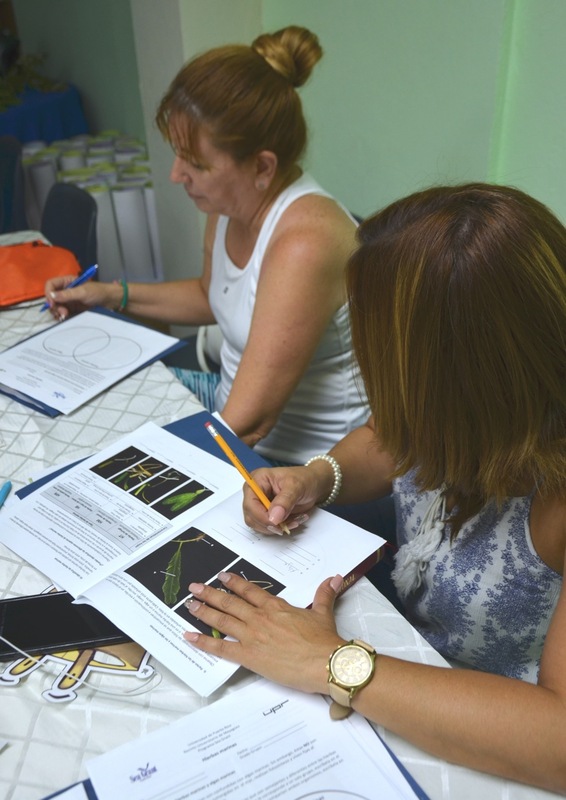 This is one of the main goals for this kind of workshop – to give educators a valuable tool that helps them teach these topics more easily. 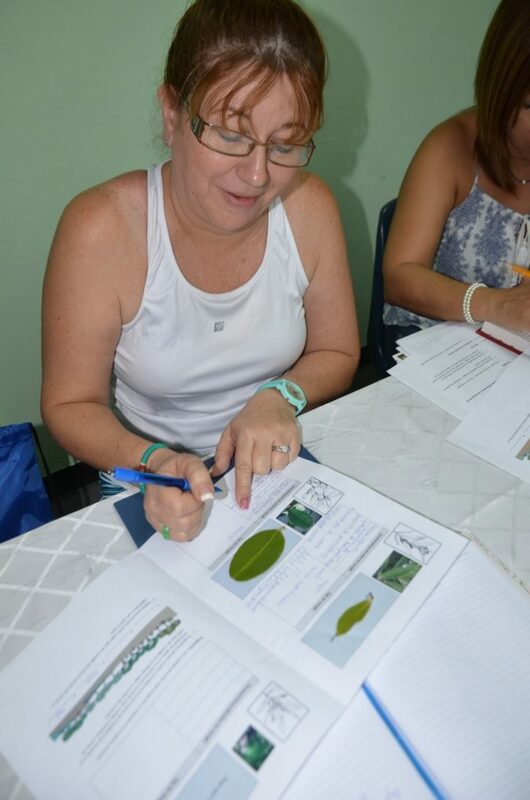 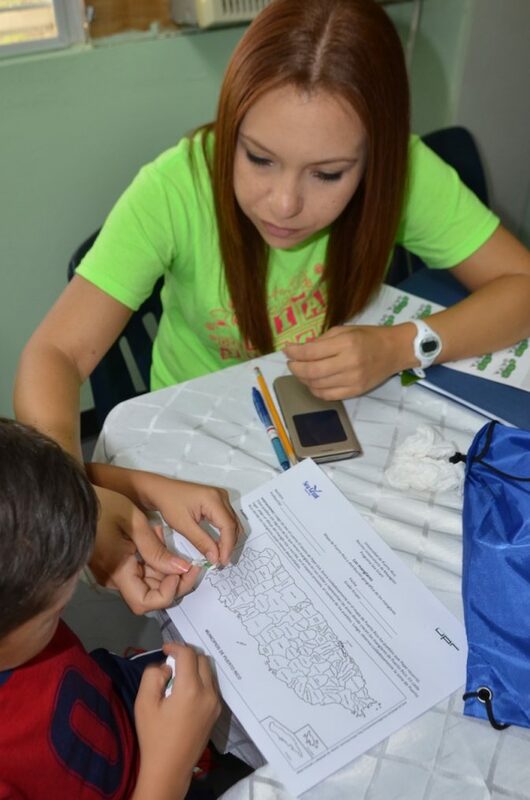 The teachers learned many new things and were thankful for us taking these useful skills and materials to them. 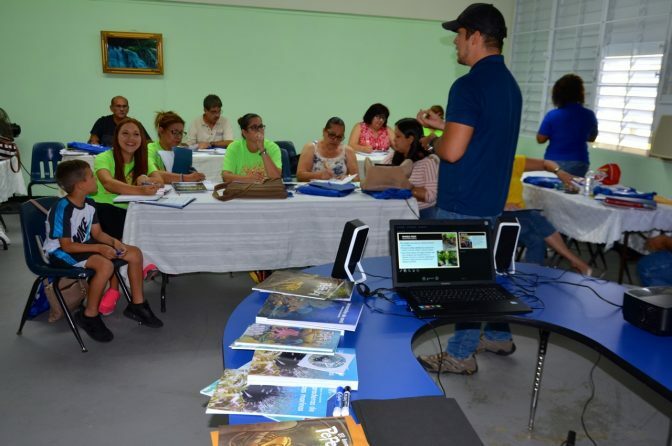 It was a pleasant, rewarding experience and we hope that the students become more aware of how important these ecosystems are and become more environmentally minded.